Vacuum Cleaners Glossary - Which? Need to know your hepa filter from your mini turbo tool? Read our glossary of terms for everything you need to know about vacuum cleaner terminology. Just want to see reviews of great vacuum cleaners? Join Which? and access all our expert reviews and Best Buys. Some vacuum cleaners come with extra nozzles and brushes for cleaning upholstery and curtains, or around the edges of skirting boards. Some cleaners have space to store any additional nozzles on board, with others you have to store accessories separate from the appliance. Bagless vacs trap dirt inside a canister, that you then empty yourself into a bin. This saves you on the hassle and cost of replacing bags. On the down side, bagless vacs tend to have smaller dust capacities than bagged models. Emptying a bagless vacuum cleaner can be a messy job, potentially making them a bad choice for those with allergies. 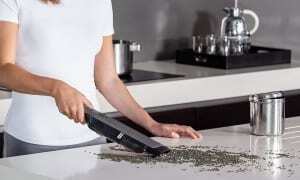 Bagged vacs tend to have bigger dust capacities than bagless vacs. The average upright bagged vacuum will hold around 4.2 litres of dust – but bagless upright vacs hold an average of 2.6 litres, considerably smaller. Bagged vacuums are cleaner to empty as you just throw the bag straight in the bin. Vacuum cleaner manufacturers usually recommend buying replacement bags sold under their own brand names. 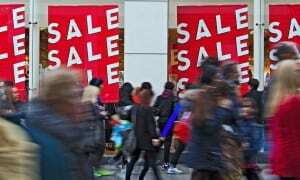 But you can also buy bags – especially from online shops – from third-party suppliers, such as Airflo, Unifit and Vivanco. These companies make the 'official' bags for some vacuum cleaner manufacturers as well as providing their own-branded alternatives. Generally, you're unlikely to see much difference. But the Which? tests show some alternative bags tended to let small particles of dust escape, which might mean you'd need to change the vacuum cleaner's filters more often. The size of a cylinder or vacuum bag determines how much dust it can hold. Manufacturers often specify this, but it’s not always the same as measured. The average vacuum cleaner has a capacity of between two and three litres, but the recommended maximum fill level or the amount of dust a cleaner can actually hold before suction decreases may be far less. The Swiss army knife of vacuuming. These kind of tools combine ca furniture brush, with a crevice tool and upholstery tool. 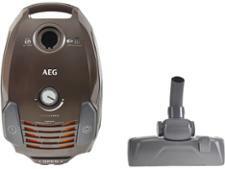 Featured on cylinder vacuums, the mains cord is withdrawn into the body of the cleaner after use. This allows for compact storage. 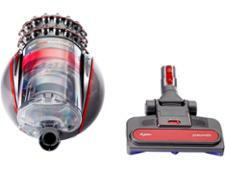 These are similar to upright vacuum cleaners in many ways, but are smaller, more lightweight and cordless. This makes them flexible and ideal for cleaning small areas quickly. Most cordless vacuum cleaner won't pick up as much dirt as a normal vacuum cleaner, so won’t deep clean your carpets in the same way. Get a cordless vacuum that is as good as a corded vacuum cleaner by using our cordless vacuum cleaner reviews. It’s great to have a vacuum with strong suction that picks up all the dust from your carpets, but you also need a vac to keep the dust in. We use specialist machinery to test how much dust and fine particles the vacuum cleaners can retain instead of back into your home. Which? has tested a few vacuum cleaners claiming low energy use, and levels vary. Some recorded low levels in our test, others proved average. Vacuum cleaners need the power to clean floors and as yet we've not found a vacuum cleaner that balances excellent all-round cleaning with very low energy use. You can get these from a vacuum cleaner if earthed surfaces are touched. 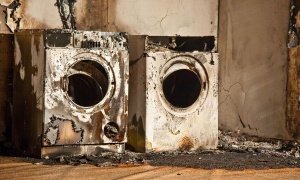 Various factors determine the likelihood and severity of shocks, but the main factors that affect this are humidity, the kind of dust that's sucked in the material of the floor and the material of the shoes you're wearing. One way to reduce the likelihood of getting shocks would be to lie the handle or hose of the vac down on the floor at regular intervals to discharge any build up of static. Vacuum cleaner filters can clog up and need cleaning or changing at least once a year. Spare filters are often included in replacement packs of bags. These tools have a soft brush at the end to dust delicate surfaces. You can also use a furniture brush to clean keyboards. Handheld vacuum cleaners can help to keep car interiors clean and quickly pick up crumbs and mess around the house, getting into the gaps that a larger, heavier vac can't access. If you are interested in handheld vacuum cleaners, take a look at our handheld vacuum cleaner reviews. Hepa filters are designed to keep particles inside the vacuum and then emit air that is safe for allergy sufferers. Some machines with this feature are given approval by the British Allergy Foundation. These often come with vacs geared towards pet owners, such as Dyson's 'Animal' vacuums. 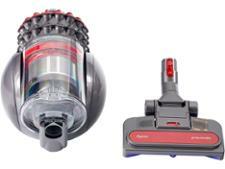 Mini turbo tools have a small rotating brush that is powered by the air drawn into the vacuum. Mini turbo tools can be used to remove hair from places you can't use the main floor head, like sofas or upholstery. Cylinder vacuum cleaners are usually quieter than upright models - but some models are significantly louder than others. We've registered decibel readings of 90 during our vacuum cleaner tests, that's equivalent to a symphony orchestra during loud passages. We give a star rating for each vacuum cleaner model according to how much noise it makes, so you don't get a nasty surprise the first time you use your new machine. Upright vacuum cleaners are generally better than cylinder vacuum cleaners at picking up pet hair, so if you've got a cat, dog or other animal this type of vacuum cleaner is probably a good choice for you. In addition to our dust pick up tests on carpet and wooden and laminate flooring, we use real pet hair to assess each vacuum cleaner's pet hair pick-up. A vacuum cleaner with a long cord and hose is handy for cleaning stairs, or if you're short of power sockets around the house, you'll be able to clean a larger area without having to unplug and find a nearer socket. We’ve found a vacuum cleaner's reach can range in length from 6 to 15 metres – a big difference when tackling a large room. Robots that vacuum while you take it easy have been around for several years, and more are coming with prices substantially cheaper than the first models. Their long hoses make cylinder vacuum cleaners harder to store than uprights, but some cylinders now have a clip to attach the nozzle to the body so the hose stays upright. A turbo brush may improve dust and pet hair pick-up but in some cases standard nozzles can be just as effective. Don't buy a vacuum cleaner purely because it has a turbo brush – check our cleaning performance ratings to see how well a vacuum cleaner picks up dust and pet hair. Attachments that can be added to the cleaning tube, which help you reach into awkward corners or behind bulky objects. These add-ons come with some vacuums to attach to the end of the hose for cleaning upholstered furniture. The manufacturer may claim that a vacuum cleaner's capacity is greater than it really is. When we test vacs in our lab, we look at how much dust they really can hold - rather than how much space there is in the container. Most of the vacs we've tested have a capacity of 2-4l, which we would call medium. A small capacity is under 2l and we'd consider a capacity of 4l or above to be large. This is often used as a selling point for vacs by manufacturers. But good performance is about design and suction, not how high the wattage is. High wattage doesn’t necessarily mean you’ll get a better vacuum cleaner, but it does mean you’ll use more energy.